This whitepaper reviews what the one thing these powerful brands have in common? Data. The growth of data has brought us to the tipping point between brand and customer. Before the digital age, the biggest and best brands had just that – a brand, which THEY controlled. Now, a brand is powerful because of the data it collects and how it uses it to serve its customers. The value of data is only going to increase as we move from a handful of brands owning first-party data to a greater democratization of information. As a result, consumers will have much more control over their personal data and more companies will be able to generate their own first-party data. Once again, it’s time to look ahead to identify the trends and technologies that are most likely to survive the hype cycle and become the must-haves of the near future. Here we take all we learned over the past year and craft our strategies for the future. 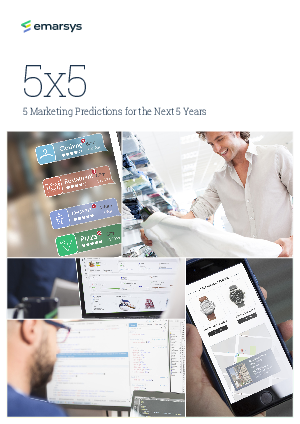 We explore the five predictions we believe marketers should be excited about and prepare for over the next 5 years.